Croatia is a wonderful destination, perfect for a relaxing holiday which offers you all the things, from breath taking natural beauty to stunning historical sites and great food. It’s difficult to decide which destination is the best since you will find everywhere unique landmarks and things to do, but we made a list with 6 of the most beautiful places you must see in Croatia. ● Dubrovnik, considered the country’s jewel, is an absolutely magical place and the Old Town is a must-see indeed. The opportunities are countless, from visiting historical sites like Lovrijenac Fortress and The Synagogue, to going to public beaches like Banje to enjoy the blue waters and relax in the sun. 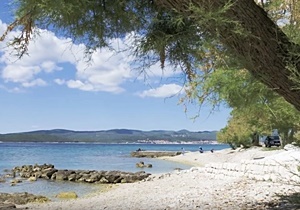 There are also many day trips available if you want to explore more, for example the nearby islands like Lokrum and Elafiti, with lush vegetation and airy beaches. 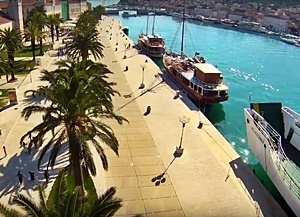 ● Split, also called the “Mediterranean Flower”, is Croatia’s second largest city, famous for its Gothic and Renaissance architecture and for Diocletian’s Palace, the most visited attraction. You can spend a great time in the historic center, walking on the streets or enjoying a coffee in a bar. Beside the old town, there are another attractions, like the seaside promenade from where the view is extraordinary, the Green Market or the Bacvice Beach, where you can swim or join a boat tour. ● Plitvice Lake National Park is another amazing place which will enchant every visitor. The uniqueness of the place is given by the 16 interconnected waterfalls, the beautiful flora and fauna and clear lakes where you can even make boat tours. During winter this attraction is still popular due to the ski resort nearby and to the amazing view of this place, all covered in snow. ● Zagreb is perfect for a short trip because you have many attractions to visit and you can do this in a very short time. Walk through the city streets to visit St. Mark’s Church, Lotrscak Tower and the art galleries. If you arrive in the Upper Town, don’t miss a cup of strong coffee on the main square or on Tkalciceva Ulica. ● Istria is another great destination, appreciated especially by Europeans, who come here by car. The most visited area is Rovinj, with its wonderful historical sites and the well preserved Roman amphitheater. There are also small villages worth visiting, like Buzet, famous for its truffle festival in every autumn, Motovun, known for the annual film festival and Hum, considered the world smallest town. ● Korcula is a 50 kilometers island located off Croatia’s Adriatic Coast. The island is famous for its green and lush forests, olive groves, vineyards and sandy beaches, while the main town has an impressive architecture and you can’t remark the colorful markets and the Venetian Renaissance style of the buildings. 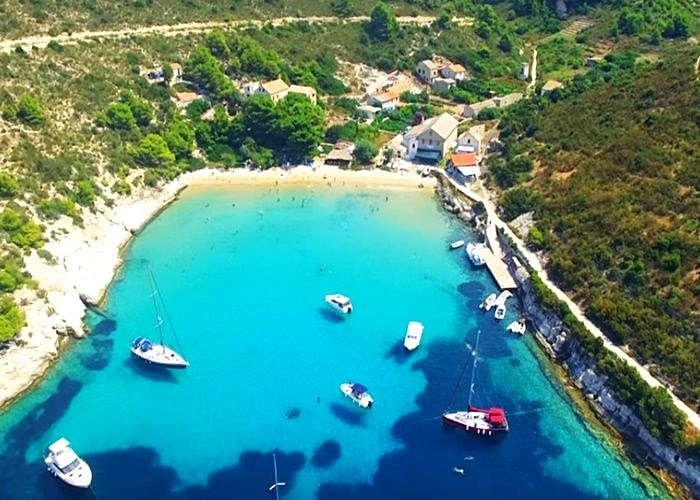 One of Europe’s top tourist destinations, Croatia boasts its share of medieval cities and old ruins, but what makes this country fabulous are its stunning natural beauties, the gorgeous Adriatic coastlines and the amazing islands. It’s not an expensive destination, you find cheap accommodation and great restaurants in every place. With TripEconomy, you can plan the trip easier. Check the complete list of hotels in Croatia and choose which one is suitable for you.